Whelp, I moved on to Round 4 in Every Creative Endeavor’s Creative Blogger’s Got Talent contest. The new projects are up now so please go vote! While I can’t tell you which project is mine, I can show you what I did for Round 3. So here we go! 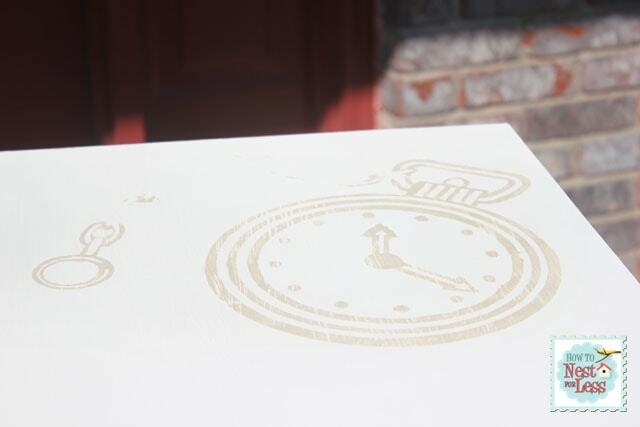 A Stenciled Pocket Watch Children’s Desk! I used two coats of Old White Annie Sloan Chalk Paint all over the base of the desk. 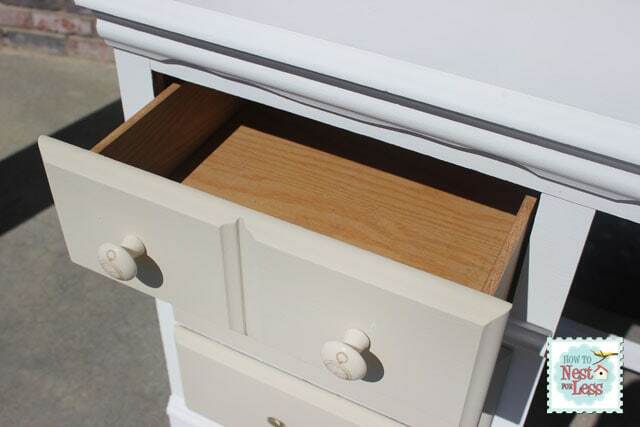 Then I painted the drawers in ASCP Country Grey. 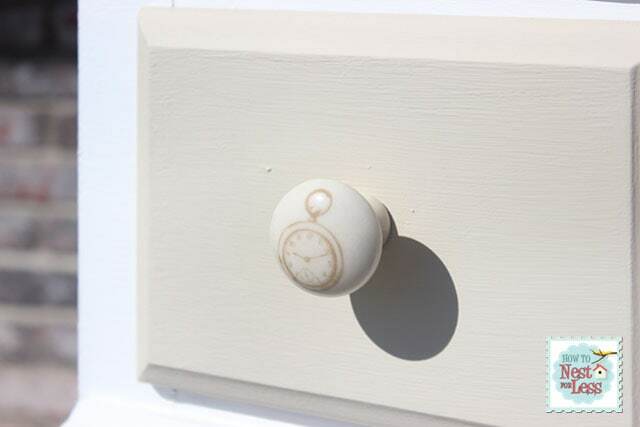 My idea was to match some adorable pocket watch knobs I found at Michael’s for $1 each! 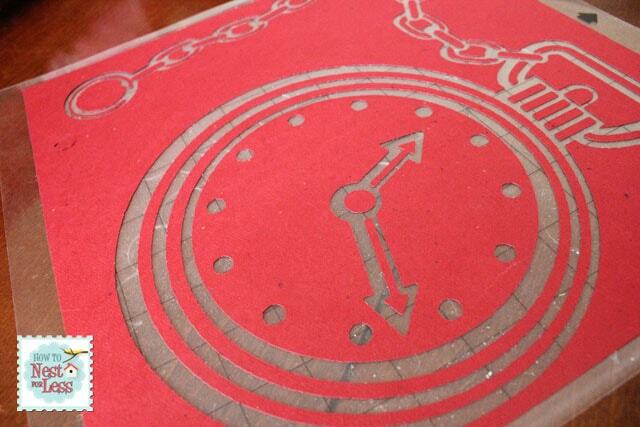 I then used my Cameo Silhouette to print out a stencil of a large pocket watch. I transferred it onto the table and lighting filled in the top of the white desk with the Country Grey ASCP. I sanded the whole desk down a bit, used a coat of clear wax throughout and added the pocket watch hardware! Aren’t the knobs adorable? Especially for $1 each! And here’s how the stencil turned out! I distressed it so it was a little faded. This looks amazing! I love using my Silhouette to create stencil for painting. 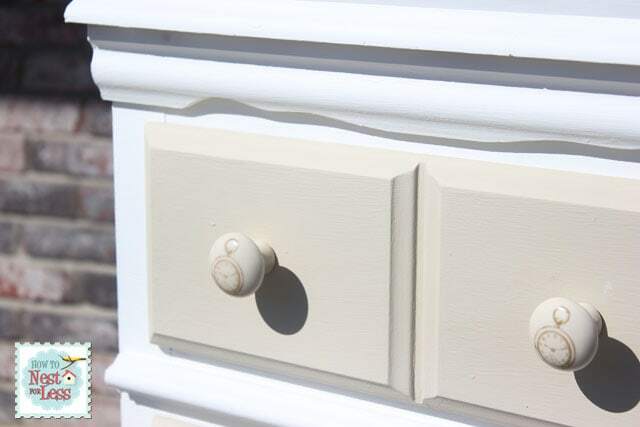 The little knobs are too cute 🙂 I picked up some of their vintage-look knobs last year and they totally transformed a piece of furniture. Amazing what a difference the hardware makes. Oh, Erin! It is soooo perfect! I just bought some knobs at Michael’s too! Mine were from the dollar bins, plus 70% off! Love, love, love the transformation! What a cute desk! Love the stencil and the knobs, great idea! That turned out really well! Where is this piece destined to live in your house? I didn’t know Michaels sold knobs and the like! I’ll have to check it out! LOL, I have no where to put it!! I think I’m going to sell it. And I didn’t know Michael’s had knobs either. THey had a couple of different options in the Dollar Bin aisle. SCORE! Love those knows…and for a $1! 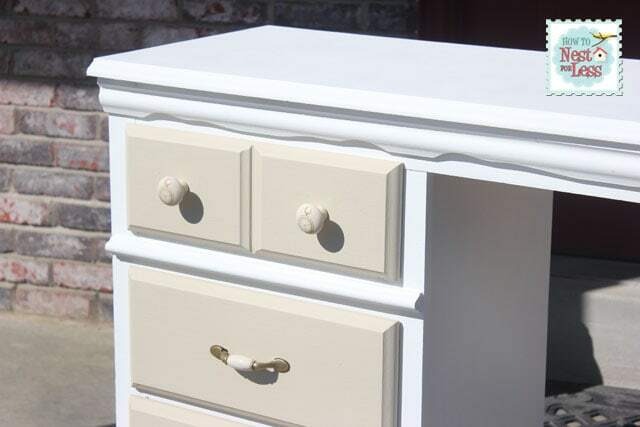 Beautiful job on the dresser – love the watch stencil too! 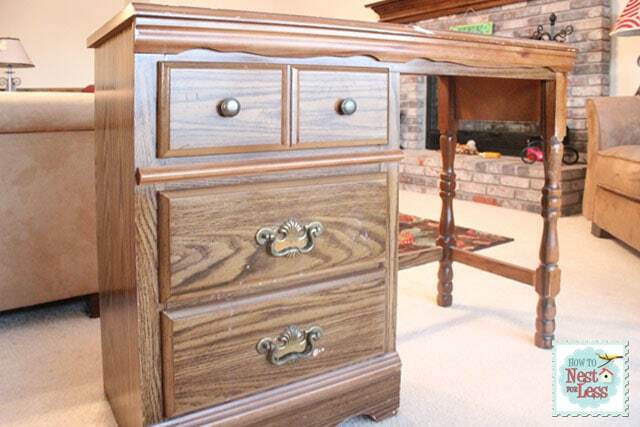 I love this desk…so creative! This is so adorable- I just love it! VERY cute! I recently did a stencil makeover on a desk myself… just on the sides, but I love your big bold stencil on the top! 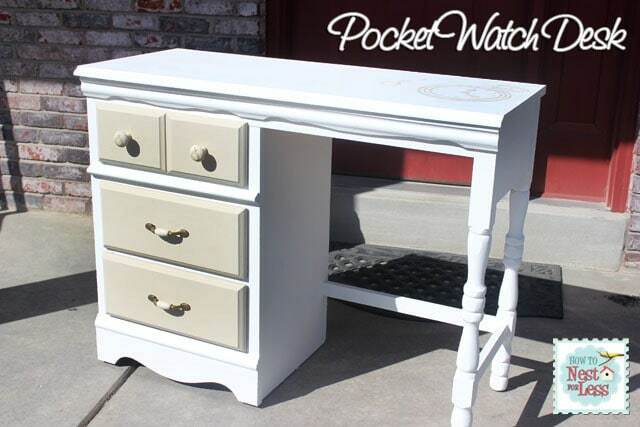 If you would like to see mine, I posted the link below… hooray stenciled desks!! It looks beautiful! You did an amazing job on this desk! The stencil adds so much to this desk! It came out great! Our Beautify It Monday link party is open now and we’d love for you to link this up! that desk is just too cute!! so cool! i love the timepiece stencil! Very cute idea… nice job! Wow. This is incredible. I love how the watch stencil doesn’t overpower anything, and the knobs are the perfect touch. Oh that is a great idea. And yes those knobs at Michaels and Hobby Lobby get me all the time. What a great way to have them all work together. I love this desk! Awesome color and design! Love it! Thanks for linking up to my party!